Top 5 green fruit and veg for optimum health | Great Guidelines for Later Life "
The late inventor Thomas Edison once stated, “The doctor of the future will give no medicine, but will instruct his patient in the care of the human frame, in diet, and in the cause and prevention of disease.” While such a prognosis has yet to fully materialize in today’s world, evidence is building that it just might be on the verge of going mainstream. More and more people − many of them with the full support of their doctor − are now looking beyond just reacting to health problems with drugs and surgery. Instead, they’re proactively looking to adopt the type of healthy lifestyle that helps them avoid getting sick in the first place. For most people, this approach includes trying to eat better and exercise regularly. But what does it mean to “eat better?” A good first step is to avoid consuming processed and fast foods that create disease, and instead eat more “green” foods that help keep disease at bay. The good news is there are all sorts of fruits, vegetables, and herbs to choose from in this green category. Each one with its own unique set of health benefits that have been validated both through science and historical account. Many people find the easiest way to get their daily dose of healthy greens in is through juicing or blending them into smoothies. Here are 5 of my favourite healthy, nutrient-dense green foods that are top-notch additions to your green drinks, juice, or smoothies. With more vitamin C than an orange, the succulent, green flesh of the kiwifruit is brimming with disease-fighting vitamins, minerals, and enzymes that help prevent aging, improve skin health, boost respiratory function, protect vision, and improve cardiovascular health, among many other functions. Studies show that the kiwifruit helps keep the organ where most of our immune system lives − the gut − in tip-top shape. The only thing that’s better than eating the flesh of a kiwifruit it also eating its skin and seeds (from organic kiwifruit, of course) which is where you’ll find high levels of digestion-friendly fiber, protein, and other additional health-protecting compounds. This fuzzy flesh-protector is where much of the fiber and vitamin C in the kiwifruit is found. In fact, you can triple your fiber intake when eating kiwifruit by consuming it with the skin! These stalks of leafy green goodness are a powerhouse of vitamins A, C, and K. Being a cruciferous vegetable, kale is naturally a powerful cancer-fighting food that studies have shown can help improve detoxification, support heart health, and inhibit the formation and spread of malignant cancer cells. Technically a wild form of cabbage, kale is also notably anti-inflammatory, helping to protect the body against harmful bacteria and viruses. It kept Popeye strong and it can do the same for you! Once known as the “Spanish vegetable” in Great Britain, spinach has a rich history of use all throughout the world, and for good reason. It’s packed with B vitamins, vitamins A, C, E, and K, trace minerals like copper and magnesium, and so much more. Spinach is also a powerful antioxidant food that helps to keep cholesterol from oxidizing in your blood vessels, helping to improve circulation while promoting a healthy heart. Another varietal of leafy green, watercress is a culinary delight that tastes great in soups, salads, and sandwiches. It’s technically a healing herb that contains 15 essential vitamins and minerals (at least! ), and many other compounds at quantities much higher than that of a typical vegetable. For instance, watercress contains more calcium than milk, more iron than spinach, and more vitamin C than an orange. It also contains a treasure trove of phytonutrients, antioxidants, and other “super” nutrients that help protect the body against chronic disease, including cancer. Watercress is perhaps most known in the “superfood” world for its high levels of vitamin K, which helps protect the brain against neuro-degeneration, as well as strengthen bones and prevent heart disease. Studies suggest that watercress is a powerful anti-ageing food that can help people live longer lives with improved quality of life. Many people have never tried watercress, so give it a try and add it to your healthy greens shopping list! The local Hampshire watercress beds are still working and provide fabulous crops with the water fed from the chalk streams coming off the South Downs. This popular food garnish is, in many ways, healthier than many of the dinner plates upon which it’s presented. A powerful chelating herb, parsley is recognised for its ability to draw out toxic heavy metals and expel them from the body. It’s also an incredible anti-cancer food, rich in flavonoids like myricetin and apigenin that research show help deter cancer cells and tumours. Parsley has also been scientifically shown to help strength the cellular matrices of bones, as well as balance blood sugar levels to prevent the deadly “D” disease known as diabetes. So eat up!! 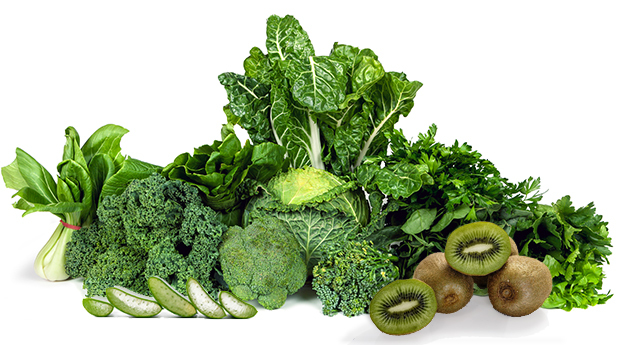 Load up on these fantastic greens to keep you healthy and happy! Eating as many of these raw vs cooked is also useful – try juicing them – there are plenty of recipes available. You won’t even know you are eating them! © Great Guidelines for Later Life 2017. All Rights Reserved. Gayle Palmer, the creator of Great Guidelines for Later Life - The world’s most thorough, comprehensive and supportive, one-stop resource for all seniors and their families who are ready to get their lives in order before they die AND help them to live out their days having a life they love, clear in the knowledge that they have done everything they need to. She has developed various courses, programmes and workshops for seniors and their families to work through, leaving no stone un-turned. Gayle’s experience of over 25 years as an Osteopath, treating thousands of people and helping them through similar worries and concerns only strengthens her knowledge and commitment to you too. Her expertise is not only in the physical realm but emotional, mental and spiritual too. All Rights are Reserved. Have you ever experienced a VisionBoard workshop? What’s most important to you as a parent or grandparent? How prepared for life are you right now and going forward?